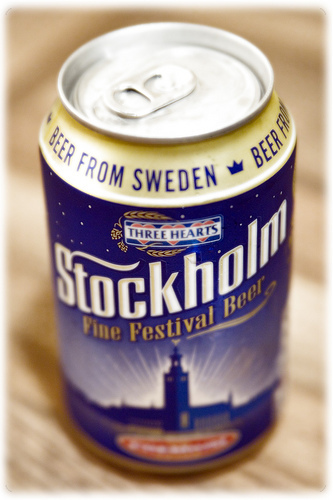 As a foreigner in Sweden, when I am back home, I’m often asked, “so, do you speak any Swedish now.” My short answer is always yes – in part because a lot of the Swedish-ness has worn off on me and I simply don’t want to talk more than I have to, but also in part because I have learned a fair amount of Swedish. 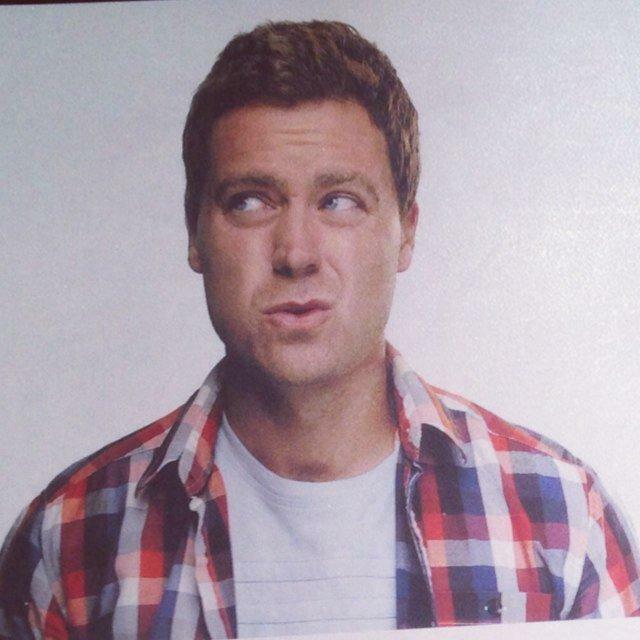 Am I fluent….no, but I can carry on daily conversation, and I can order a beer. Swedes like to introduce themselves quickly, often times you just say your name with a handshake, but you can also say “Jag heter,” meaning, “I am called…” It can be entertaining to surprise an unsuspecting Swede with a very random introduction – sometimes to evoke a reaction I like to say, “Jag heter Kalle Anka Jul hus vagn.” Literally translated, “I am called Donald Duck Christmas House Wagon (motorhome).” Swedes usually think it’s dumb, but fun nonetheless. Primary take away – “Jag heter (insert something)” is a useful and fun way to surprise Swedes or introduce oneself. 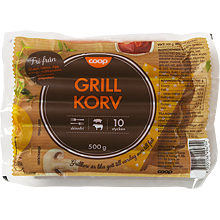 This is one of the most important phrases you will ever learn in Swedish – how to order a grill korv. Literally translated “A sausage with bread.” This is important stuff. A couple of notes when ordering a korv – Swedes talk extremely fast, I have discovered, the quicker, and more jumbled I say “en grilled med bröd” (so like this “engrilladmedbröd”), the better the service. Here you can see grillkorv that will feed one Swede for 3 days. 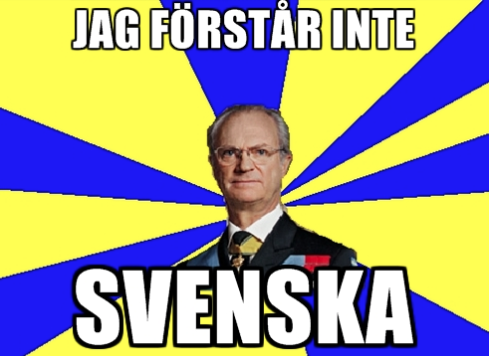 Carl XVI Gustaf of Sweden doesn’t understand. Much like ordering a grillkorv, purchasing a beer at a club or bar is very important. Literally translated this means “Five large beers, (please or thanks).” In Sweden it is forbidden to order rounds of drinks for the group. You always only order drinks for yourself. In this particular example, “fem stora öl, tack,” you are ordering five beers for yourself, to last an hour, maybe longer. Take note of the strategy in this example – five beers all at once, from the same bar – avoid the queue, pay a lot of money up front, forget about the purchase by the end of the night. As a side note, fem stora öl, tack might run you upwards of 400-500 SEK depending on the bar, the beer, and the time. Literally translated “happy Midsummer” or “did you have a good Midsummer?” There are few things held more sacred in Sweden than Midsommer. 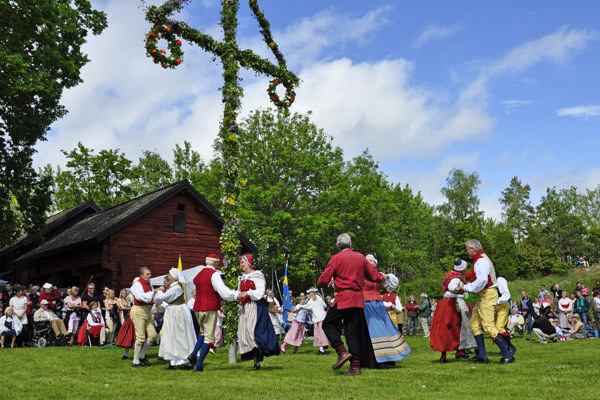 Celebrated in the middle of June, to Swedes Midsommer is like Christmas and every other holiday on steroids, and celebrated with more alcohol. While you can expect a post dedicated to Midsommer at a later date, the main point here – if you are lost in conversation with a Swede, don’t know what to say, or want to attempt Swedish small talk – bring up Midsommar – something along the lines of “hade du en bra Midsommer” is enough to hear several hours worth of stories from two nights of excessive alcohol consumption and fish eating. Instantly get on a Swedes good side when asking about Midsummer shenanigans. “Where is the nearest Ikea?” Another loved Swedish export is Ikea – Ikea is an institution here. 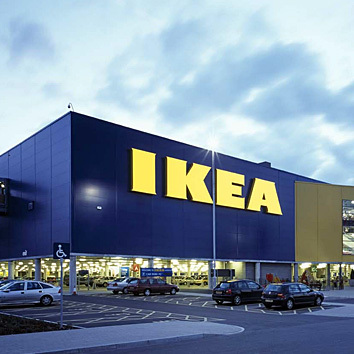 You need to know how to ask where the nearest one is – with so many Ikea stores, it is important to always get to the nearest one to save petrol (gasoline). When you are at Ikea, waiting in the excessively long checkout lines, be sure to use tip #2 and order up a few grill korvs, or the controversial horse meatballs (häst köttbullar). A typical Ikea found in every Swedish town. The word “hej” is the most common greeting you will hear in Sweden, and translates to “hi”. 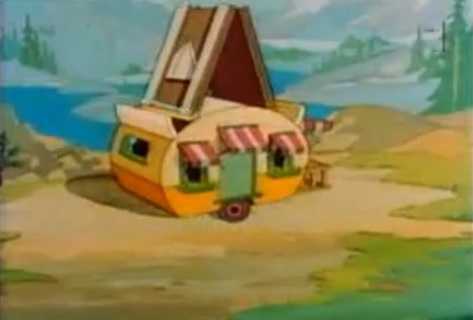 Depending on the vocal inflection and the number of times said it can take on many different meanings. For example, a spirited “hej hej!” is a much different greeting than plain “hej.” Being able to recognize the difference when you are greeted with friends, while shopping, etc. is very important, because it will determine which greeting you respond with. You cannot reply to “hej hej!” with just “hej,” and vice versa. Learn the proper usage of “hej” to avoid sending the wrong message to your new Swedish friends. Everyone knows Swedes love their coffee – translated this is simply, “will you have a coffee/ Swedish pastry.” Alternatively you can ask, “vill du fika” and it means the same thing. Fika is an important part of Swedish life, and it happens at least 2, sometimes 3 or 4 times daily. When practicing asking, be careful who is around, as you are sure to find at least one Swede interested in going for a fika. 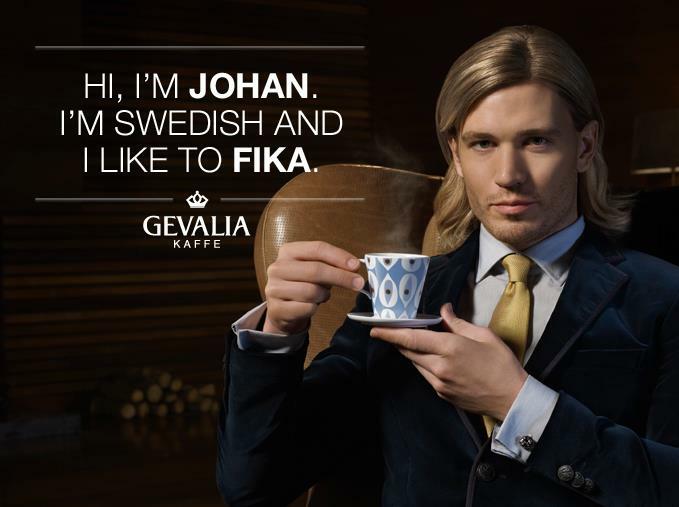 Johan apparently likes to fika. I mentioned earlier Swedes like to speak very rapidly, and when learning it can be hard to understand. I always heard Swedes saying “eller hur” but when they spoke it sounded like “eller sju.” One day I finally asked why they are saying “or seven” – as it turns out, I was wrong – “eller hur,” meaning “or how,” is what was being said. This can be loosely compared to the English “as if,” or “ya right,” and can be used in conversation to indicate or expect agreement from someone, as well as used sarcastically. 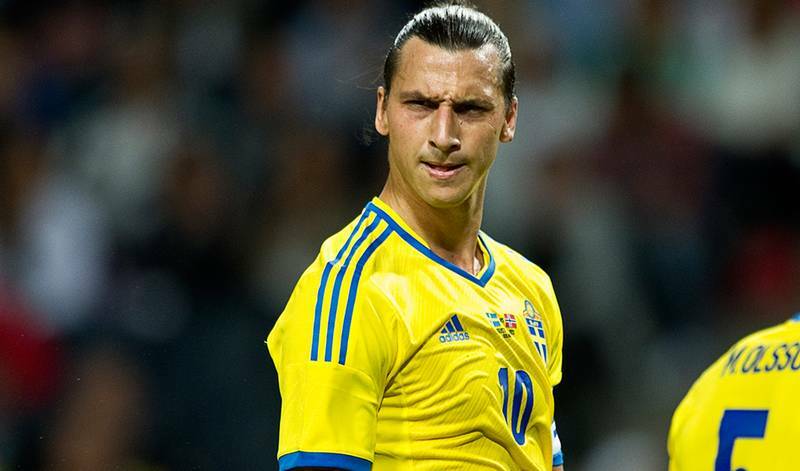 Zlatan is the best Swedish futboler ever, eller hur? By incorporating these 10 simple phrases/ words into your daily Swedish routine, you’ll be able to navigate the Swedish language with ease. Stay tuned for more great tips to survive in Sweden – coming up soon, which store in Sweden has the best godis (candy) aisle. As someone who has been working with Swedes for over 8 years, I can say that this post is spot on, especially when it comes to mid-Summer holidays and coffee drinking! What is the best app or software to use for EN-SV ;i have been told google translation can be humurous and dosent look like a native writing a text.